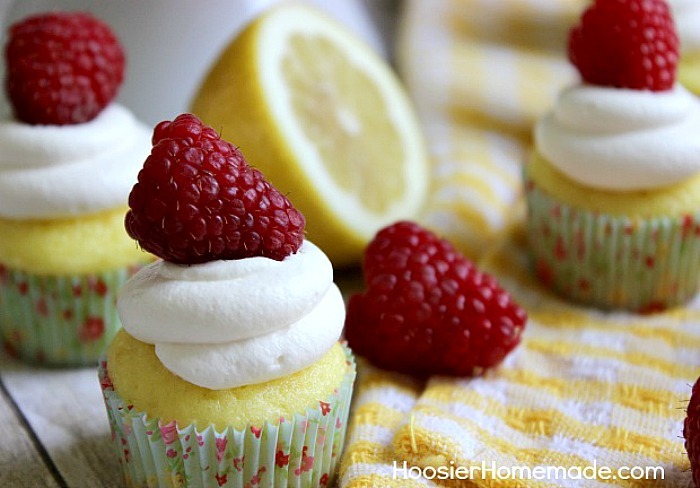 Lemon and Raspberry are a perfect combination for Spring! 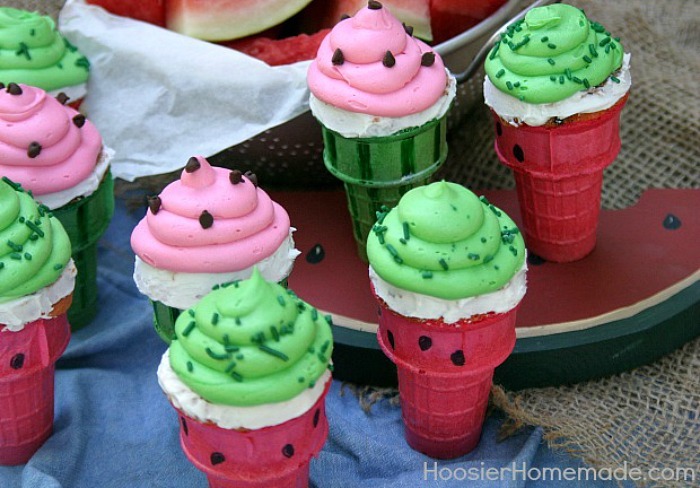 These light and refreshing tasting cupcakes go together in snap. 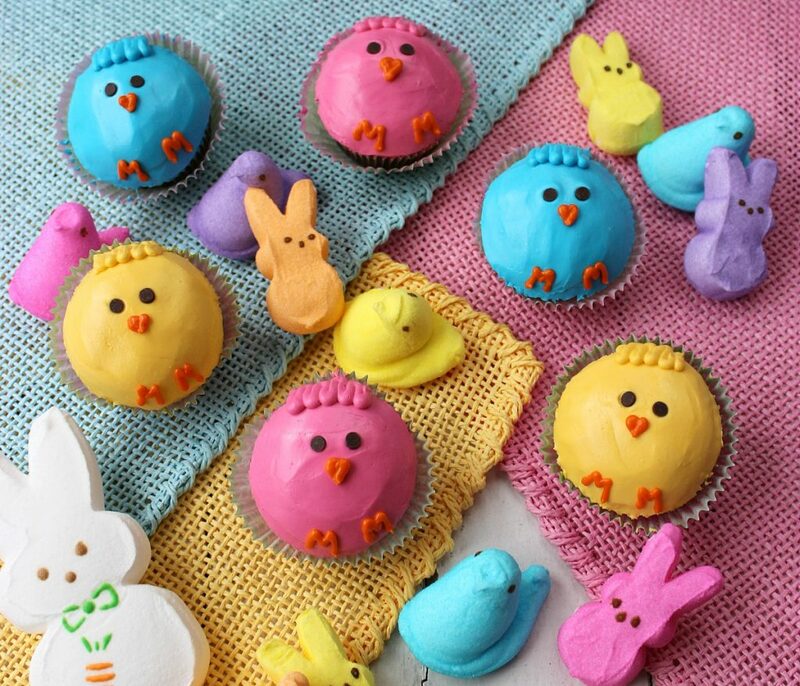 The Lemon Raspberry Cupcakes are impressive enough for Easter, a Baby or Bridal Shower, Mother’s Day yet easy enough for a weeknight meal. 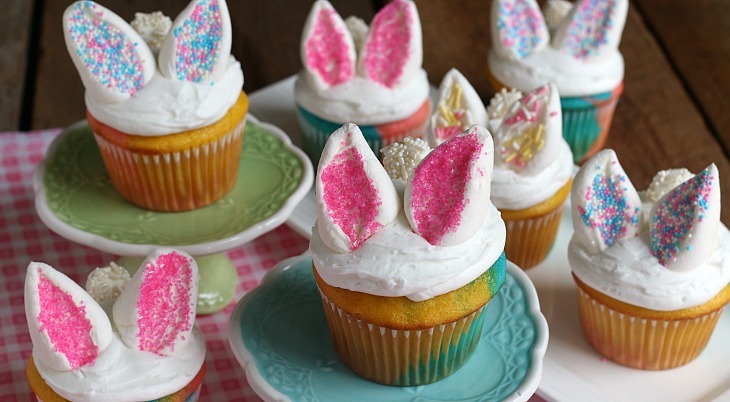 Here comes Peter Cottontail – hopping down the bunny trail…Now that I have that song stuck in your head, let’s make some easy Bunny Cupcakes. There is something so special about a rainbow – the bright colors fill the sky after rain falls. 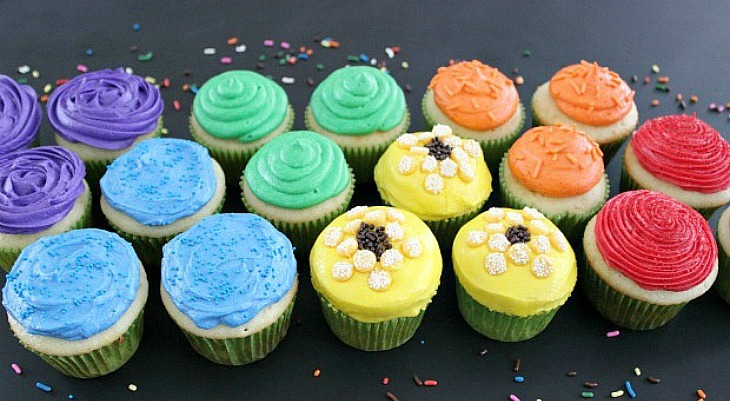 So why not bring that beauty into these Rainbow Party Cupcakes? 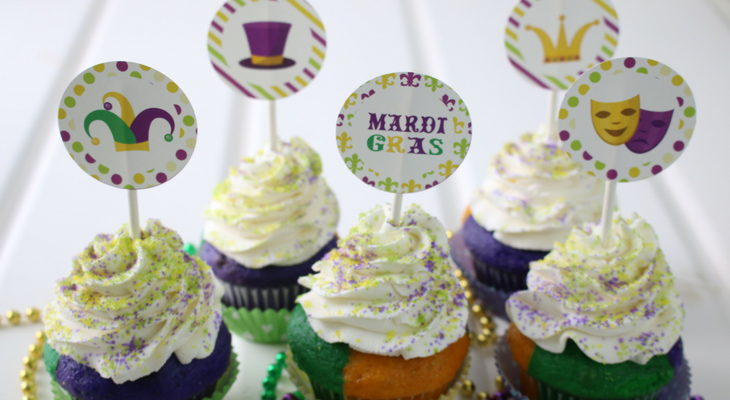 Red, Orange, Yellow, Green, Blue and Purple frosted cupcakes are decorated with different techniques. 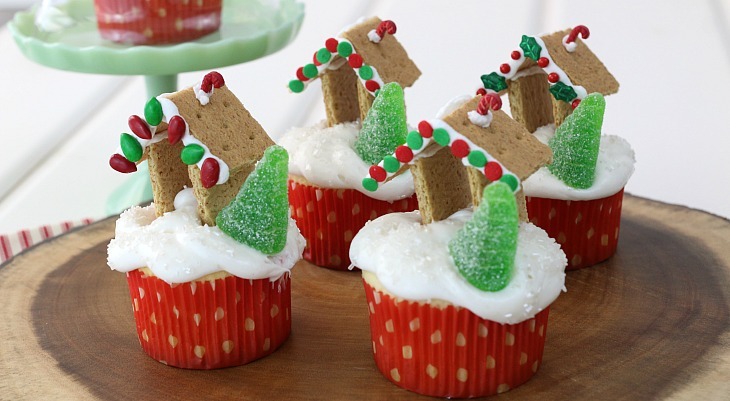 Rich, moist chocolate cupcakes, filled with peanut butter cups and topped with peanut butter frosting – it doesn’t get much better than that my friends. 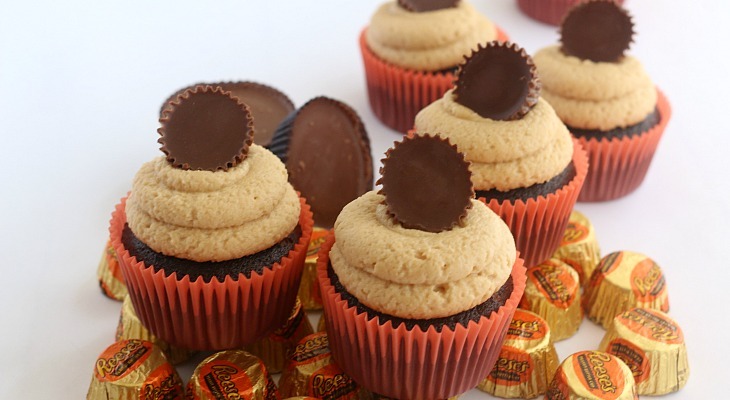 These Peanut Butter Cup Cupcakes are perfect for any occasion and will have everyone asking for more. 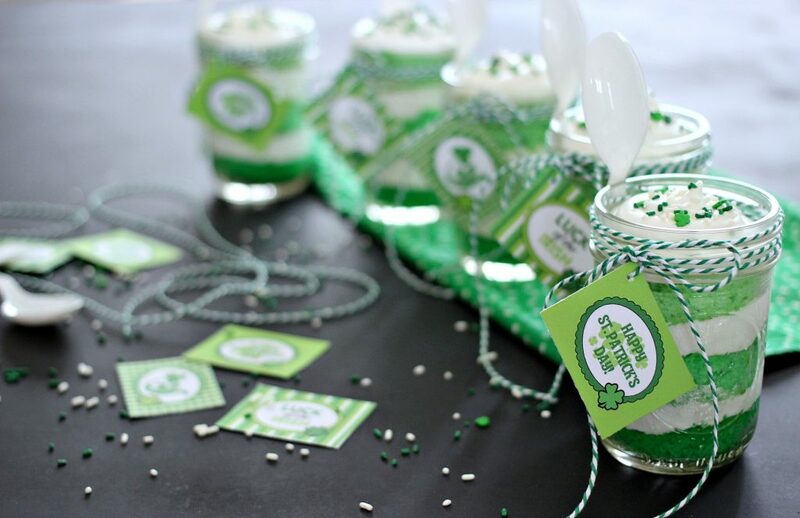 It’s Birthday time! 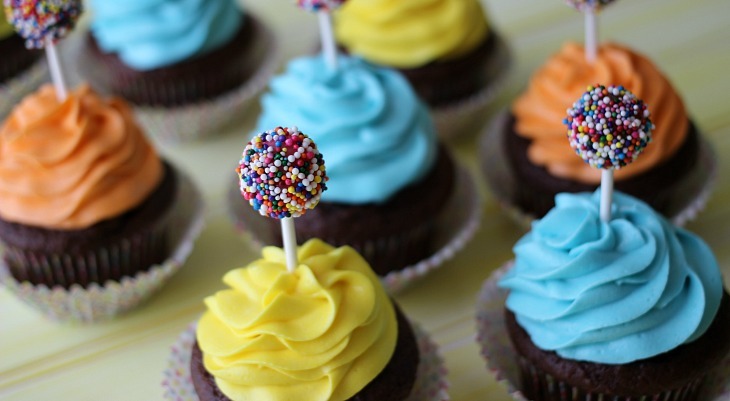 These Kid’s Birthday Cupcakes start with an easy Chocolate Cupcake Recipe, topped with Homemade Buttercream Frosting in bright colors, and a simple topper with Dum Dum suckers dipped in Rainbow Sprinkles.